In Germany, the UK, France and other parts of Europe, populism has played a pivotal role in elections this year. Mainstream parties and candidates faced a rising tide of populist movements with mixed success. For now, this spells a temporary reprieve for the custodians of free and open democracies, but nationalist, anti-immigrant and anti-EU parties are sure to persist. What are the lessons from the recent elections, and what steps must European leaders take to fend off illiberal policies and populist movements in the future? Panel discussions with Iain Begg (LSE), Janis A. Emmanouilidis (European Policy Center), Baroness Falkner of Margravine (Member of the House of Lords, UK), Sylvie Goulard (Former Member of European Parliament), Claus Offe (Hertie School), Jean Pisani-Ferry (Hertie School), Charlotte Potts (ZDF/Deutsche Welle), Andrea Römmele (Hertie School), and Sylke Tempel (German Council on Foreign Relations). 5:10 pm | First panel: What have we learned? Leading thinkers offer national and European perspectives on the functioning of democracy, voter behaviour and the current party systems. 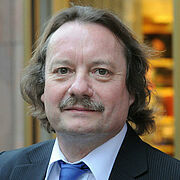 Keynote: Claus Offe is Professor Emeritus of Political Sociology at the Hertie School. He has held chairs for Political Science and Political Sociology at the Universities of Bielefeld and Bremen as well as at the Humboldt-Universität in Berlin. He worked as Fellow and Visiting Professor at, among others, the Institutes for Advanced Study at Stanford and Princeton, the Australian National University, Harvard University, the University of California and The New School in New York. Iain Begg is a Professorial Research Fellow at the LSE’s European Institute, Associate Fellow at Chatham House and will shortly complete a two year senior fellowship on the 'UK in a changing Europe' initiative. 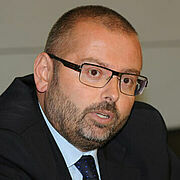 His main expertise is in the political economy of European integration and EU economic governance. He has served as a specialist adviser to the House of Lords European Communities Committee and has undertaken a number of other advisory roles. Janis A. Emmanouilidis is Director of Studies at the European Policy Centre in Brussels. He has published widely on the European Union's overall political and institutional development, the EU’s poly-crisis, the Union's foreign, security and defense policy and on EU enlargement. He has been an advisor of various governments, EU institutions, European parties, and NGOs on a broad range of issues related to European integration and has commentated widely on EU affairs in the media. 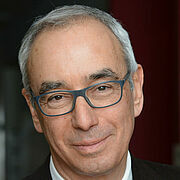 Jean Pisani-Ferry is Senior Professor of Economics and Public Management at the Hertie School and has served as Commissioner-General for Policy Planning since 2013, reporting to the French Prime Minister. 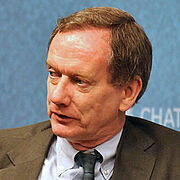 He helped found the economic think tank Bruegel in 2005 and served as its director. He was previously Executive President of the French Prime Minister’s Council of Economic Analysis, Senior Economic Adviser to the French Minister of Finance, and Economic Adviser to the European Commission. 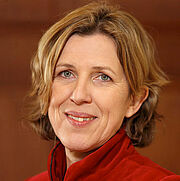 Moderation: Sylke Tempel is Editor-in-Chief of „Internationale Politik“ and the „Berlin Policy Journal“, both published by the German Council on Foreign Relations. She also teaches International Affairs and Contemporary German History at the Stanford Study Center Berlin and was Visiting Professor at Stanford University. Previously, she has worked as Near East correspondent. She holds an M.A. from Ludwig Maximilian University, Munich, and a PH.D from the University of Armed Forces, Munich. This panel examines the role of politicians and elected representatives – what part do parliaments, both national and EU, play? How are established parties changing; and what is the future of populist movements and illiberal policies? 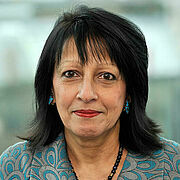 Kishwer Falkner joined the House of Lords in 2004. From 2010-15 she chaired the Liberal Democrats Parliamentary Committee on Foreign Affairs. From 2015, she has been Chairwoman of the HoL EU Sub-Committee on Economic and Financial Affairs, and has led this cross-party committee’s pivotal work on the EU and Brexit. Kishwer is Visiting Professor at King’s College and has held fellowships at St Antony’s College, University of Oxford, and Harvard University. Sylvie Goulard is a French liberal politician who served as member of the European Parliament (Alliance of Liberals and Democrats for Europe) from 2009-2017 and as Minister of the Armed Forces of France in 2017. As MEP, she was a member of the Economic and Monetary Affairs Committee. 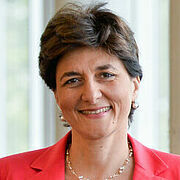 After her law studies, Sylvie Goulard worked in the French Ministry of Foreign Affairs and the Conseil d'Etat. She was political advisor to Romano Prodi during his time as President of the European Commission. 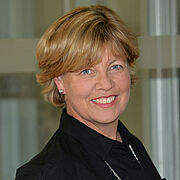 Andrea Römmele is Professor for Communication in Politics and Civil Society at the Hertie School. Her research interests are comparative political communications, political parties and public affairs. She was Fulbright Distinguished Chair at the University of California and has been a Visiting Fellow at Johns Hopkins University and Australian National University. She is co-founder and Editor-in-Chief of the Journal for Political Consulting and Policy Advice and works as a consultant to political campaigns. 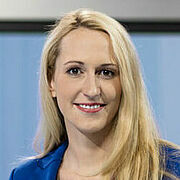 Moderation: Charlotte Potts hosts the ZDF Morgenmagazin and works as a political correspondent at Deutsche Welle's parliamentary studio in Berlin. She previously worked as a TV Producer for ARD and ZDF in Washington, DC and completed a CNN Fellowship at the CNN Headquarters in Atlanta. Her book 'Protest in the Land of Opportunity' sheds light on America’s seemingly insurmountable political divide and helps to explain the 2016 US presidential elections. In partnership with the 'Dahrendorf Forum – Debating Europe'. The 'Dahrendorf Forum – Debating Europe' is a joint initiative by the Hertie School of Governance and the London School of Economics and Political Science, funded by Stiftung Mercator. Under the title 'The future of Europe: strategic options for an era of uncertainties' the project cycle 2017-2019 fosters research and open debate on the changing European political landscape.